For many years people had to suffer through life with crooked or misaligned teeth. These problems not only make people self conscious, but can have other more serious health effects. Adults who had not had traditional braces as a child felt self conscious about having a mouth “full of metal.” However, a new process called Invisalign is changing the way adults and children think about braces. Invisalign are clear tooth aligners that are easy to wear, comfortable and better yet, removable. In most cases, people can’t even tell that you are wearing braces. You don’t have to worry about metal wires and brackets rubbing your lips and gums but get the full effect of straighter teeth while getting the benefit of having straighter teeth. Here is how it works. You will be fitted for your initial set which you will wear for about two weeks straight, taking them out only to brush your teeth, floss and while eating meals. You will then replace the initial set with a new set. Each week, your teeth will move, beginning the process of becoming aligned. The process will last about nine to 16 months and visit the dentist about every six weeks to make sure your treatment is going well. The number of aligners used during a treatment can range from 20 to 30 depending on the circumstances as each situation will be unique. Dr. Loren Rench is one of the most prominent Invisalign dentists in Southern California. His practice, located in Long Beach,California have established their expertise in the field of Invisalign dentistry. Stop feeling self conscious because your teeth are crooked and misaligned. Being afraid to smile affects self confidence and can damage your overall mindset but it is completely unnecessary. 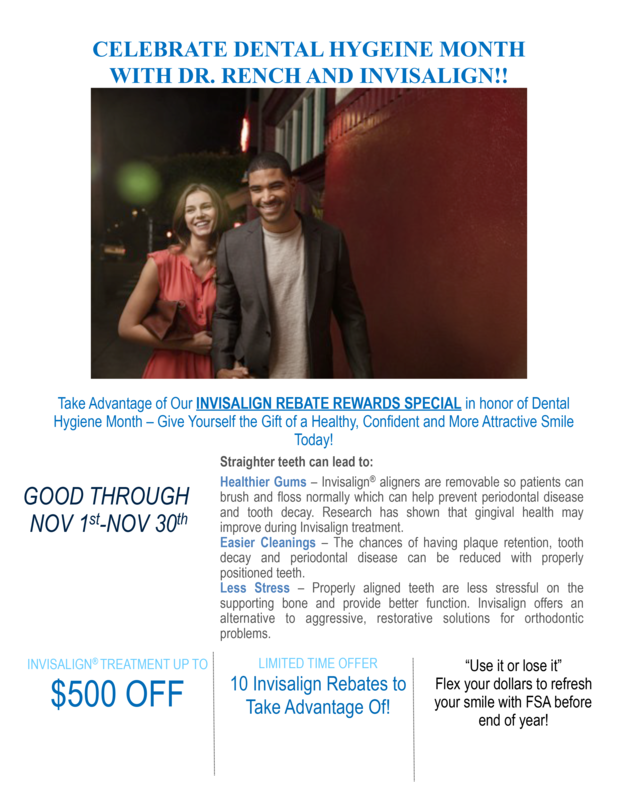 Call Dr. Rench and his staff at Bayshore Dental today at 562-494-3477 to schedule your consultation and find out if Invisalign is a good solution for you.